When embarking on a kitchen remodeling project, many people get so excited about the “fun” stuff like picking new colors and trying out cool new high-tech toys that they fail to think about the big picture. 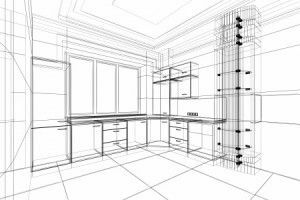 Cultivate.com notes, it’s essential that you start preparing for your kitchen remodel by first considering the major issues and concerns. Yes, these practical issues may not be as fun as, say, choosing your new color palette, but they are critical considerations that can save you a lot of headaches (and even regrets) later. One of the practical concerns, of course, is price. You want to carefully come up with a realistic budget right from the start. This can help keep your plans realistic, so you don’t torture yourself with ambitious visions that way exceed your financial means. You also want to consider your family and lifestyle. If you’re a busy household, you likely don’t want to be stuck with something that requires lots of maintenance. Likewise, if you have young children, you will want to design with safety and convenience in mind. And frequent entertainers will want a floor plan that allows you to maneuver around the workstations easily while also having the ability to interact with guests. Here at RW Remodeling, we understand the importance of designing with your lifestyle in mind. We can help you plan a kitchen remodel that perfectly matches your family, so contact us today to discuss your project.